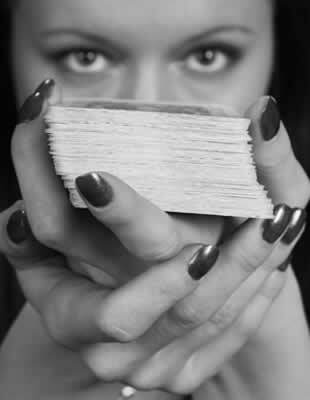 Psychic Reading Home > Psychics > Psychics, Are they Real? As more and more people are becoming aware of the psychic powers through the visual and print media, it is quite natural for many people to wonder if the psychics are really endowed with the wonderful abilities that they claim to possess. Do they provide the much-needed succor when you are in the blind alley having been disappointed from all sides? Can they perform miracles when miracles alone can pull you out of your predicament? There are psychics and they are real. The phenomena of psychic divination are as old as the humanity itself. They were there in the hoary past as fortunetellers in every hamlet, village, every city or town. They adorned the courts of the mighty kings and conquerors like Alexander the Great as they guided them through the course of their tumultuous times. They predicted with accuracy the meanings of omens and the influence of the movements of the planets on the future of the kings and their subjects. As their powerful influence was felt both by the kings and the commoners, the Church felt threatened and it conspired in vain to suppress them, but the truth cannot be suppressed for long. With the passage of time, the democratization, liberalization and the spread of education have once again brought the fortunetellers, now known as psychics, into limelight. The contribution of science towards the alleviation of human misery can hardly be underestimated, but it has yet to reach the level of subtlety, finesse and advancement to tackle multitude of problems which are of psychic, spiritual, nature and are, therefore, given up as irremediable. which are his/her true and abiding, yet mysterious resources. Since the science still lacks the prowess and expertise to explain the psychic phenomena, the only way to believe in the psychic powers is to personally experience their powerful magic.